Line your cookie sheets with parchment. 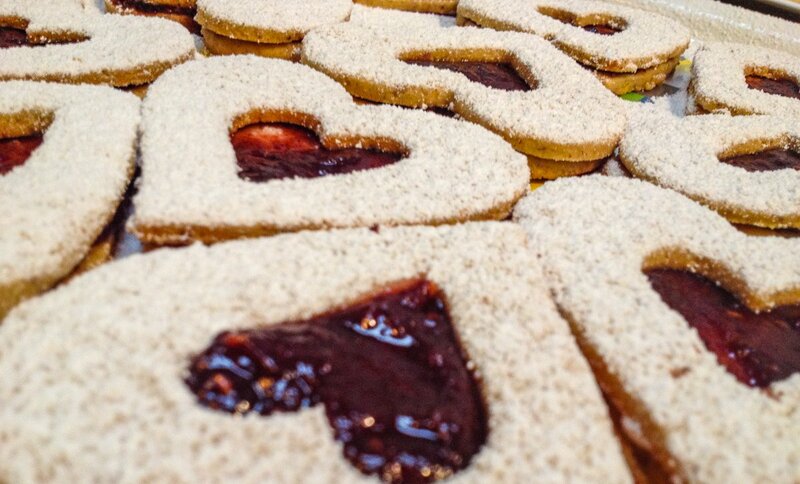 Cut all the dough with the larger of the heart cutters. Next, cut half of the cookies as “window cookies,” using the smaller cutter to make the window. The small little heart cookies that result from the “windowing” – you can use for another time. Bake until nice and golden brown.